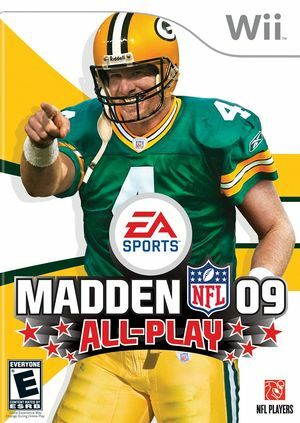 Celebrating 20 Years of Innovation and counting, Madden NFL 09 All-Play delivers its most complete NFL football package ever. Whether you’re a seasoned veteran or picking up the game for the first time, players of all skill levels will enjoy a unique, yet challenging experience with the innovative Adaptive Difficulty Engine, which tailors the game to match your playing style. Instantly improve your game with the all-new virtual Training Center or incorporate feedback with EA SPORTS BackTrack, allowing you to learn from your mistakes on the fly. With a new broadcast presentation and online leagues, plus more than 85 new features and enhancements, Madden NFL 09 is the most authentic and adaptable game in sports video game history. The graph below charts the compatibility with Madden NFL 09 All-Play since Dolphin's 2.0 release, listing revisions only where a compatibility change occurred. This page was last edited on 13 January 2018, at 12:06.